„We were impressed by how kind and thoughtful everyone was to us, especially to an elderley person who found walking dificult.“ Sheila and Derek B. „Appreciated how very much alike German and English people are! 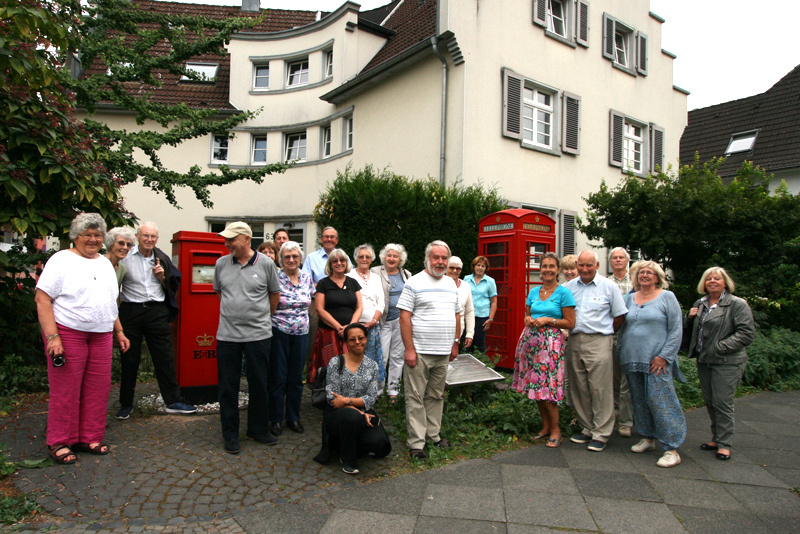 Traffic problems are the same.“ Glenys and David K.
„A most enjoyable holiday to a beautiful part of Europe made possible by the kindness and generosity of our German hosts and all the people working hard behind the scenes in Bracknell and Leverkusen.“ Rosemary Davison. „The cameraderie among the English guests and German hosts was lovely with lots of laughter – much caused by Freddy J’s jokes! A true experience of friendship between nations which we would be well advised to continue through twinning.“ Gisela and John. „My biggest surprise was accidentally ordering currywurst and finding that a combination of sausage and sauce we wouldn’t dream of at home isn’t so bad.“ Clive T.
Another example of why we need these twinning partnerships, bringing different people from other countries together in friendship can only be a massive bonus in these trying times.“ Freddie W. Jones.